Any Colts fan who says they predicted Jacoby Brissett to both be the starting quarterback and to throw for over 3,000 yards last season is lying. The Colts have fallen hard after Peyton Manning’s departure 2010. Franchise quarterback Andrew Luck has spent more time lately in the medical room than he has on the field. The Colts have had to patch together an offense the past couple of seasons, limping to a 4-12 record in 2017 and an 8-8 record in 2016. Times have certainly changed as the Jaguars are now the big dog of the AFC South while Colts fans dream of how things used to be. Taken out of Stanford with the first selection in the 2012 NFL Draft, Andrew Luck was chosen to be the replacement for long-time legend Peyton Manning. Luck led his team to two winning seasons before injuries forced him off the field. He has now been inactive for so long that it is easy to forget he is still on the team. Reports out of Colts camp are that Luck has not yet progressed to fully throwing a football. This is discouraging considering the season is just a couple of months away. At this point, Jacoby Brissett may very well be the Colts’ opening day starter, leaving Colts fan wondering if they will ever see their lucky star again. With so much attention focused on the Colts’ quarterback situation, it can be easy to forget that they have other talented players. Most notably is the short, shifty, speedy wideout T.Y. Hilton who has made a name for himself as one of the game’s best. No matter who ends up throwing the ball to him, Hilton will be relied upon to be both a chain mover as well as a downfield threat. Much of this reliance stems from the fact that the Colts are likely to have a very poor running game this season. Frank Gore led the team in rushing yards with 961 in 2017 but has moved on to the Dolphins. Without a clear replacement, the Colts may turn to a running back by committee. Rookie Marlon Mack out of South Florida figures to get the most action. He rushed for 3.8 yards per touch last season which was actually more than Frank Gore. First year coach Frank Reich is desperately hoping that one of his backs can emerge as a strong ball mover and take some of the pressure off his passing game. With Andrew Luck likely to finally make his return to the gridiron, the Indianapolis Colts betting odds to win Super Bowl 53 are listed at 50-1. This number at least shows some respect to a perennial playoff team. Here at SkyBook, we pride ourselves on being the best NFL sportsbook for all your football betting needs. We are your source for all things Colts, including game analysis, matchups, and injury reports. It can be hard to take a 4-12 team seriously, but it can also be hard to bet against Andrew Luck. 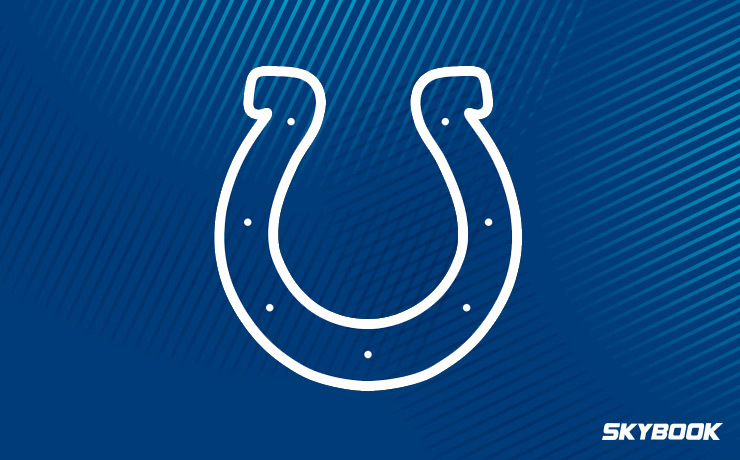 Remember that we offer the best Indianapolis Colts betting odds all season long plus amazing bonuses that you will not find anywhere else.